As I mentioned in my last post, Gina has had the wonderful idea that we all raise our voices today and let the insurance companies know how much we need them to approve requests for CGMs. I've been on my pump for about 2 1/2 months. Before I took the plunge, I couldn't see how the "new" pump technology could really help me any more than taking injections. After all, both have the same end result - getting insulin into my body. Now, as a pumper, I can attest to how much better this little piece of technology is. My blood sugars have never been better (although I hate to say that for fear of jinxing myself and ending up with a boat-load of highs - I think it will take a while before I get more confident that control this good can last). Pumping has also made my life much easier in ways I never could have imagined. 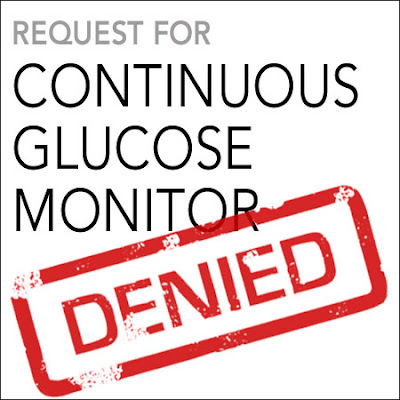 So what does that have to do with Continuous Glucose Monitors? Well, like the pump, in the not so distant past I had no desire to try a CGMS. I figured why mess with what I know - finger sticks? How could a CGMS be any better, especially since the technology is new and all the kinks have not been worked out yet? Well, my views on CGM have changed in the last 2 1/2 months as well. I can see how, even if right now they are not always 100% accurate, a CGM can help control immensely. They help spot trends and pinpoint times of the day when a basal tweak may be necessary. They work hard in the over-night hours, when I'd be asleep and less likely to catch a low - ready to sound the alarm if my blood sugar starts to crash. 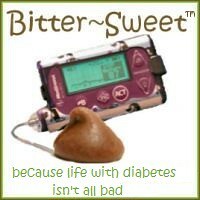 I am sure a CGMS would make my life easier in ways I could never have imagined - just like my pump. 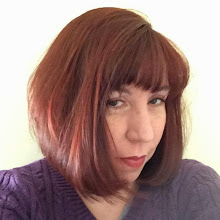 So I am very upset to know that if my doctor agrees with me that I am ready to start on one, chances are good the the insurance company will jinx it. I have had an important point ingrained into me over and over - the most important thing a diabetic can do to stay healthy is to check blood sugar often and keep it under control. This is the best way to fend off complications and live a long and healthy life. Yes, the cost of a CGMS is not small - but the insurance companies need to understand that the costs are much smaller than the cost of managing and treating diabetes complications. And on a personal level. the costs are nothing compared to the improved quality of life a CGMS can bring me. I did not ask for this disease. It's something I was dealt, and I live with it every day and work constantly to manage it the best I can. I did not ask for this disease. But you can bet I'm ready to ask for anything that will help me manage it. Don't deny me that right. I like the last statement best, "Don't deny me that right." Isn't the point of health insurance just that? Our right as people to get the medical care we need to live a healthy life? I just don't understand how they can deem something medically unnecessary because of the bottom line. Well, PWDs have a bottom line too, LIFE.